Good friends and good music what could be better?! Red Rocks always brings the very best selection to it's stage year after year and this summer is no exception. Get ready for the amazing Turnpike Troubadours as they head on down to Red Rocks Amphitheater on Tuesday 18th June 2019! This is Americana at it's very finest… tickets are on sale now for their live show – don't miss out! As the doors open and the crowd fills the amphitheater arena – it's going to be a special night indeed! 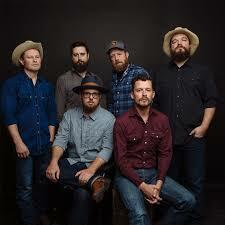 The American country group Turnpike Troubadours have been transforming the music scene with their wonderful sounds ever since they first founded the band back in Oklahoma in 2005. As one of the great local bands on the scene, Turnpike Troubadours made it their life mission to spread the word and their music as far and wide as they could. Starting off with a sign to Bossier City Records in 2007, they were able to release impressive studio albums that have kept their fans enticed from the beginning up until today. Some of their releases include their 2015 self-titled album which hit the charts on the Billboard top 200. Tracks from their 2015 release include the likes of; “Easton and Main” and “Bossier City” and the incredible band try their very best to ensure that when performed live, fans will be getting a solid representation of the songs in their full glory. Calling their fan base the Troubadorks has made a very community based feel to their shows and fans will argue over which is their best song to date. "The Bird Hunters" or "Good Lord Lorrie" are up there and have become some of their best known material. Good Lord Lorrie is a firm favorite as it tells of a southwestern love story that is easy to relate to and Turnpike Troubadours always perform it so well – showcasing how seamlessly they play together as a band. This talented band showcases the high class musicianship between them at each one of their concerts and brings together the crowd to sing along to songs and make the night even more memorable for both the band and the people in the audience. 2019 is shaping up to be an exciting year for Turnpike and you can grab the chance to join them on their tour as they stop off at Red Rocks this summer and give yet another outstanding performance – tickets are available to book above today – secure yours while you can!